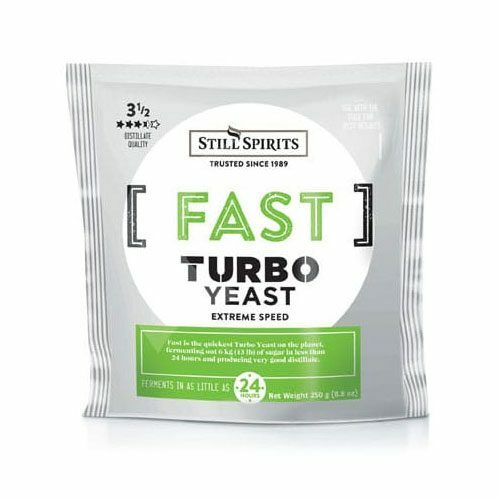 Mile Hi Distilling Bulk Rum Yeast will make up to 6.5 U.S. Gallons on one pass. 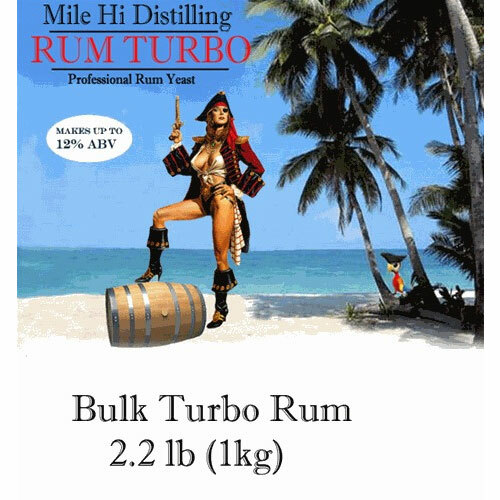 Rum Turbo will make up to 12% alcohol by volume. 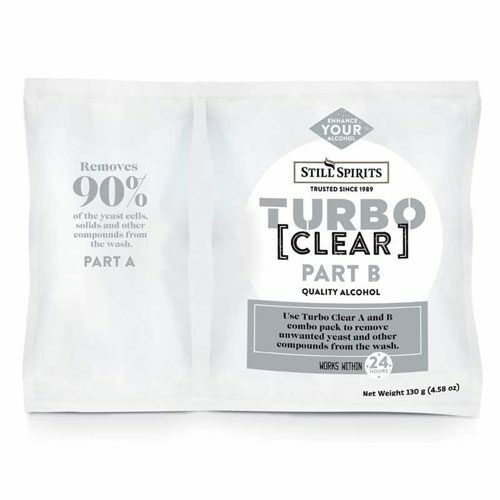 Instructions: Pour 21L (5.5 Gallons) of warm water (40 Degrees Celsius/104 Fahrenheit) into a plastic fermenter. Add 2.3 kg (5 lb) of table sugar and 4kg (9lb) of fancy molasses into water. Mix well until sugar and molasses is completely dissolved. Top up the fermenter to the 25L (6.5 Gallon) mark. 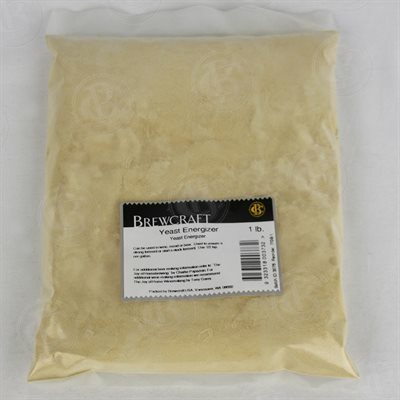 Add yeast and stir well for one minute. Do not seal the fermenter airtight as the resulting Co2 will need to escape. Leave to ferment between 25-35 Degrees Celsius/ 77-95 Fahrenheit until fermentation ceases (about 3 days). 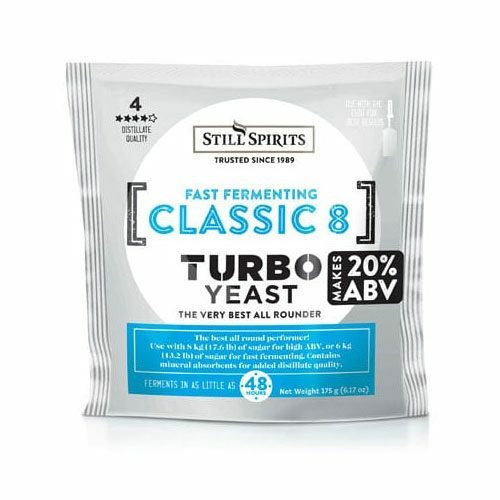 Optimum temperature is 30C (86F) Complete fermentation times are temperature dependent. Always works, every batch is consistent.